My daughter is very passionate about books. She loves to read stories & she loves to make up stories of her own. She used to ask me to write her stories as she told them, but recently, she has been wanting to write down her own words. She composes her stories and asks me to spell them for her, but sometimes gets frustrated with her letters. 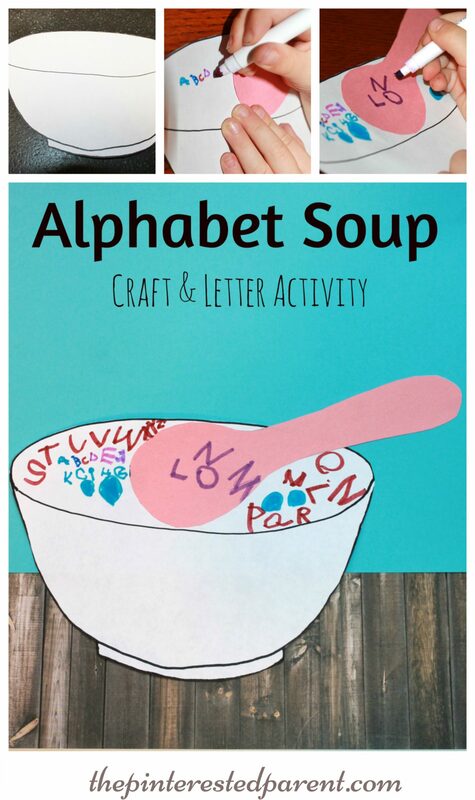 We have been working on practicing our ABC’s and we came up with this quick & fun craft and activity. 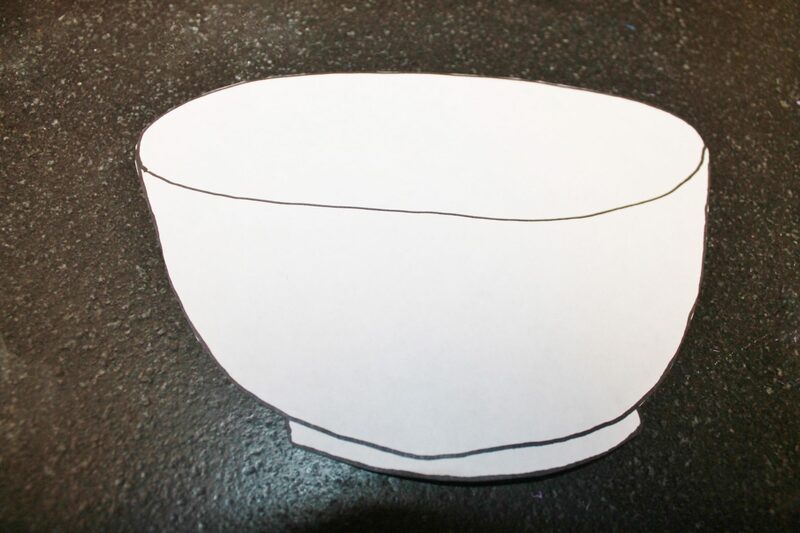 We sketched out a simple bowl shape & then cut it out. 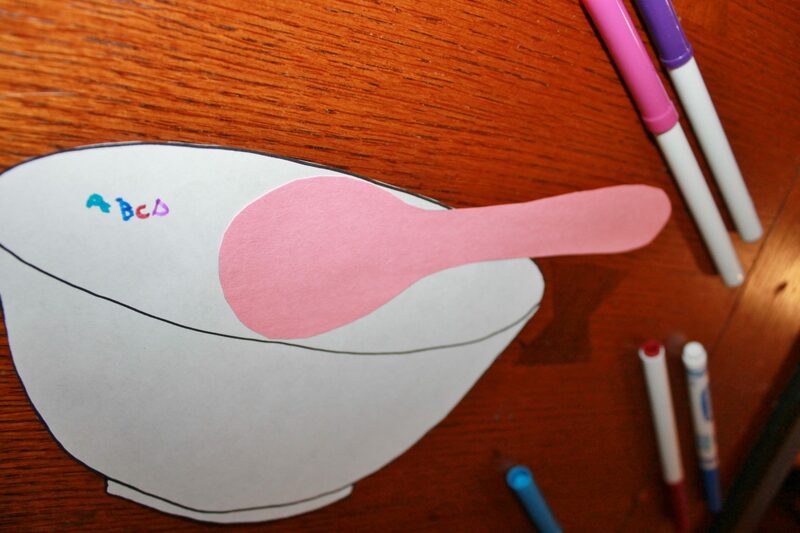 We did the same with a spoon & then glued the spoon to the bowl. 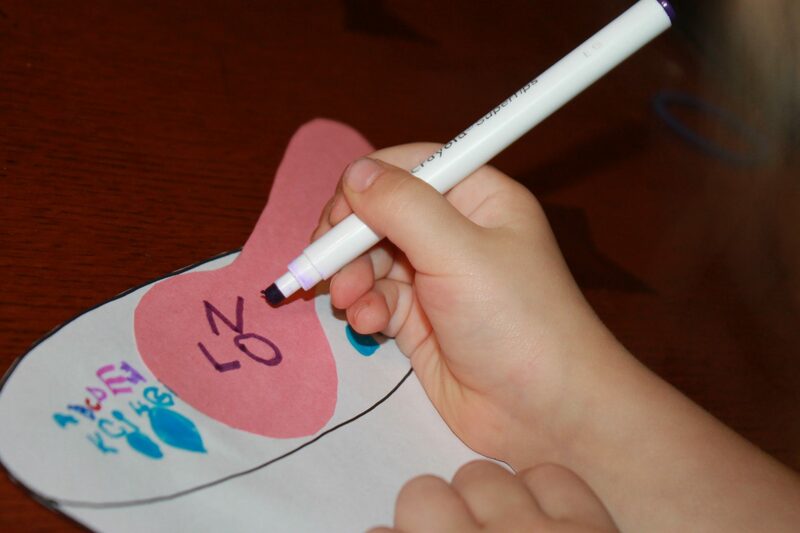 My daughter gathered up a few different shades of markers & started writing out her alphabet. 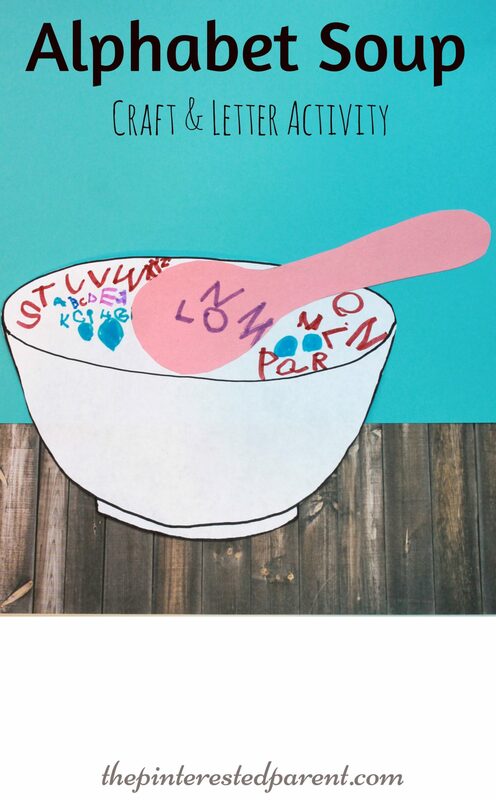 She added a few meatballs to go with her letters. 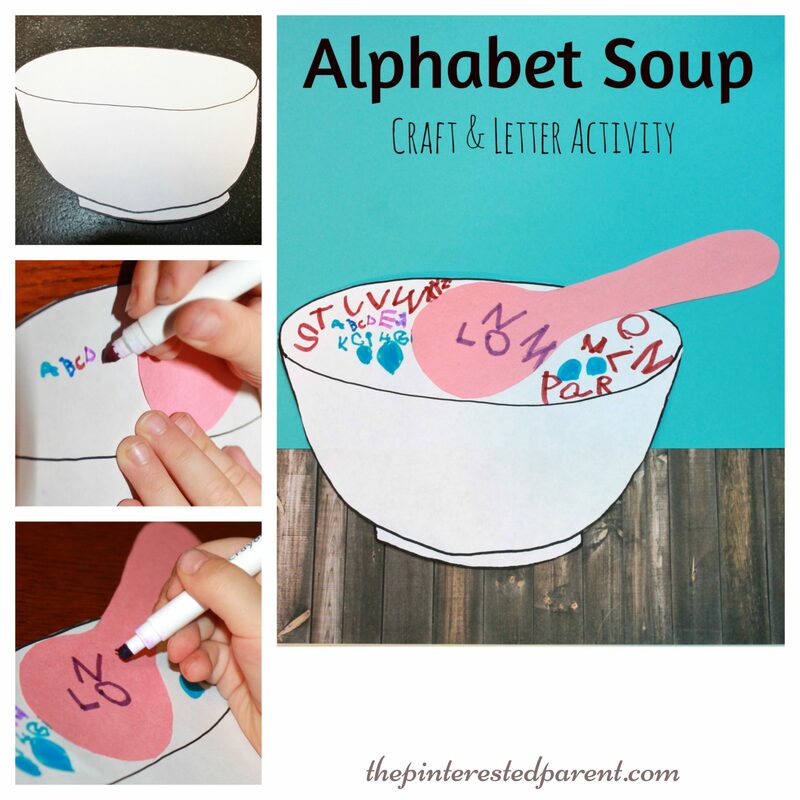 She spread her letters out all over her soup bowl, squeezing them in wherever she could. Me made a couple bowls of soup. 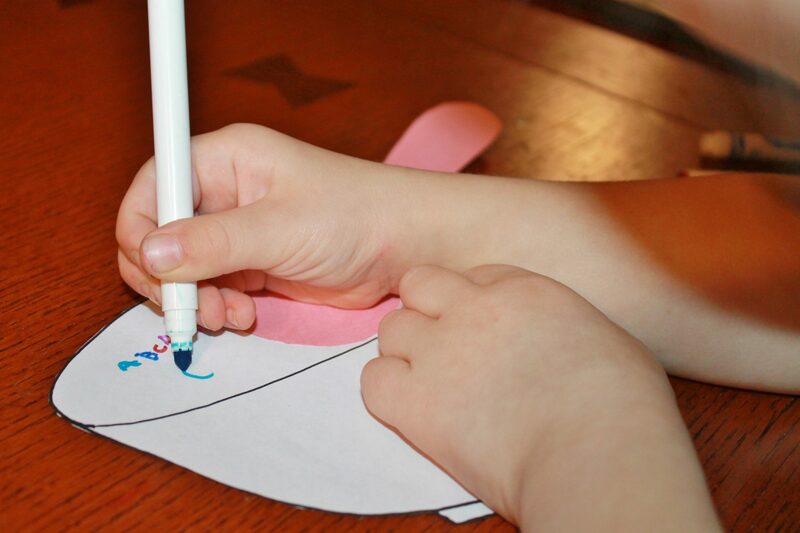 She had fun with it & it was a great way for her to sharpen her writing skills.